Popular Artbox Market will be visiting Singapore very soon! For more information, please visit event page here. 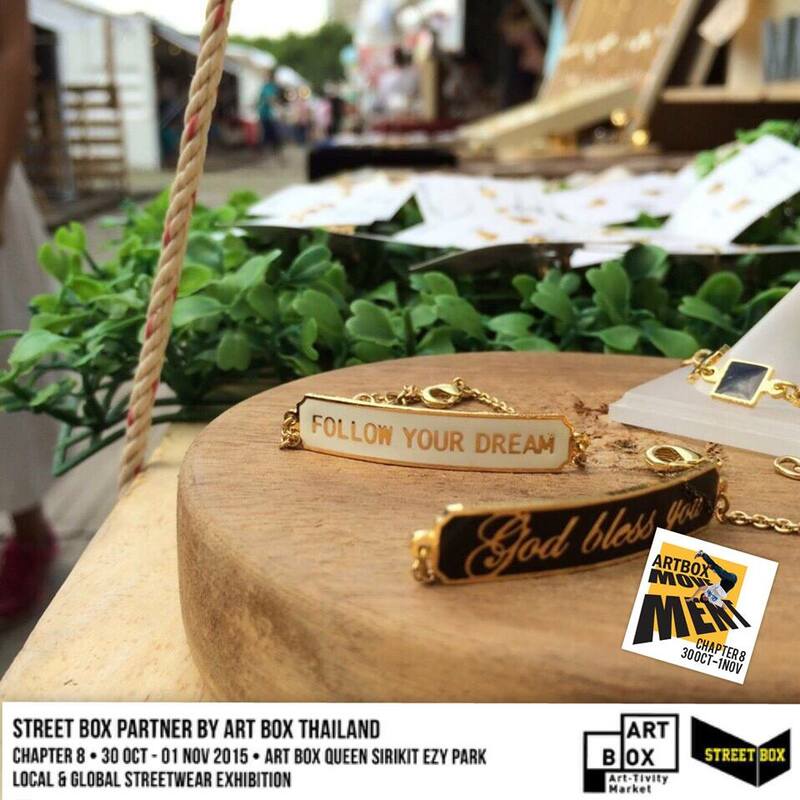 I think I just found my favourite hangout place in Bangkok – Artbox. Do not confuse it with the popular korean stationery brand Artbox. This artbox is way cooler in many ways. Check their facebook for latest update. Note: Timing in the image below is incorrect. They only open after 3PM. #1 It is a “seasonal” or “limited edition” weekend market because they do not commit that they will be open every week. This means that.. you will have to check their facebook page regularly for the announcement of their confirmed dates. Judging from the historical data, it seems like it is pretty much a weekly affair (5 consecutive weeks in a row since Chapter 4) but they yet to make an official announcement. Furthermore, they do not reply customers public enquiries on Facebook with regards to their future dates, but replied other enquiries with regards to location. I highly suspect this is a marketing tactic to make fans and people check their Facebook regularly for updates. #2 It is a relatively new Flea Market Concept in Bangkok, which started back in June 2015. I’m not 100% certain if there were plans to make it a “permanent affair” right from the beginning or that they were only planning for it to be a 2-weekend only art festival. The organizers tend to be very mysterious about their next available date. Judging from the amount of planning and marketing involved for the event, plus the money spent on logistics, it doesn’t really make sense for it to be solely as an ad-hoc event. Furthermore, with their new location at Queen Sirikit which has been done up beautifully with all the LED lights, it is likely that this hipster flea market is here to stay. #3 Rent is not cheap; same goes for the food & shopping. I only managed to find information of the rental price in their old location at Makkasan. Not sure if this price is for all 3 days or per day. 4,000B ($160) seems pretty steep for a per day rate. In singapore, the price ranges from $50 to $200 for each flea. If I do a rough calculation, the organizers seem to be earning a revenue of $48,000 (old location $32,000) per event (Assuming that the rates are for 3 days, otherwise its a x3 to the figure). This is excluding the newly crafted VIP and sponsors container which they previously didn’t have back in Makkasan. #4 They have a strong and dedicated marketing team, likely to be made up of highly talented youths who know how to make every single photo instagram-worthy. They released a very beautiful and detailed artist impression of the event – such graphics are not cheap, unless they did it themselves. They updated the photos on their social media accounts regularly to keep up the hype of this festival. #5 Did you know that there are themes for the different weekend festival? I didn’t really notice or bother about the themes since I was only there for a weekend but after scrolling their entire timeline, I see how well they orchestrated and infused the theme in their arts festival, making each experience unique and refreshing for repeat visitors. They started off by using “Episodes” when they were at the old location. After moving to the New location, they changed to “Chapters” and restarted the numbers. Chapter 1,2,3: Art Box Signature – I guess they want to feature the Blue LED iconic tree. Since Chapter 7 &8 was known as the movement, they brought in the cranes to move the containers, such that it.. is a true “movement”. Their prices are slightly on the higher side (given the amount of creativity and effort required to prepare). Most of the time, (sad to say) the fanciful drinks are nothing but just syrup and water. However, you’ll still be tempted to buy it because they simply look so great. #7 Every single photo that they post online makes you think that this is the place to visit every weekend – because that’s where everyone is heading to. You get to take photographs of cool white containers. Sit on wooden “recycled” pallets which gives an industrial yet hipster feel. Or sit on haystacks making you feel like you’re in a farm (old location). Or even sit on artistic looking stools (old location). Take photographs with that random swing.. If I don’t recall wrongly, they had see-saw as well. I guess it’s more for phototaking than play. Really love this super high res and wide angle shot for this photo. It brings all the attention to the blue led avatar-inspired zone. 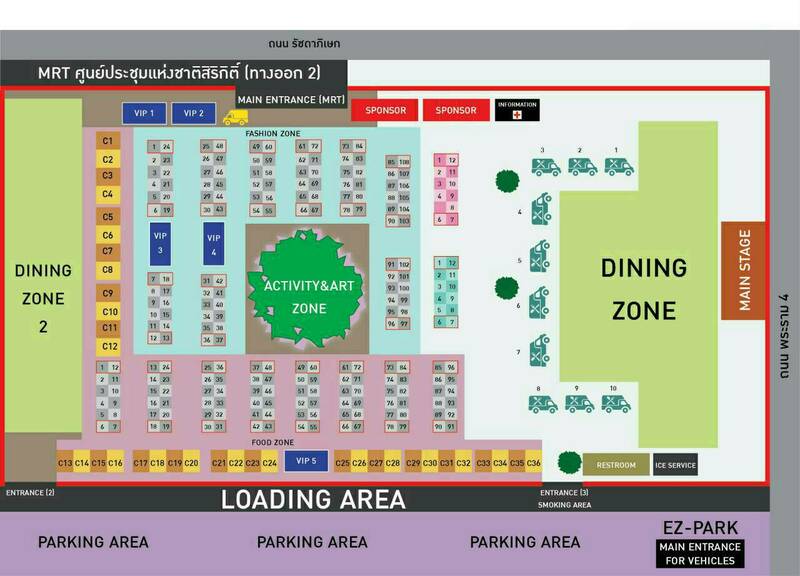 Exit from Gate 2 at Queen Sirikit Convention Center MRT (not the more popular BTS), you will have to switch lines somewhere. Anyway, just ask for help if you’re lost. Most people at that station will be going to Artbox anyway. I only managed to take a photo of the entrance later in the night before we left as it was extremely crowded. There were people at every angle it seems to be a mandatory been here done that photo for all. Remember the themes that I was sharing about? We visited on Chapter 4: The colours and there were random artistic display of colours. When we first enter, we were a little overwhelmed by the amount of food choices available. I halted when I saw this minion drink by this shop called “At Least”. Nothing special please – I paid like 9XB for that cute marshmallow. I didn’t know what flavour I wanted so I told him blue and yellow drink with minion. Half the cup was like ice anyway and the taste was like 30% sweet (probably due to the amount of ice). Well, it’s after all a novelty drink which I bought because it looks cute. They had hello kitty, hulk and captain america marshmallow designs too. Bought some random fried chicken meat and it was pretty delicious with their chilli seasoning. And suddenly.. the word “BEEF” caught my eye and it was half the reason we returned for the second night. Can you believe it? That amount of serving of meat (probably about 180grams) for only 180B which is like less than SGD 9?! Every piece is like tender and juicy and they were sold out before the end of the festival (like duh!). You know my jaw dropped when they told me it was only 180B. Anyway, the shop is called “Barbie and Bottle”. and it’s pretty cool cause the shop owner recognized my friend on the second day and we even took a photo together after chatting for a while. Bought the drink on the right for the cup. Using it right now in office. It was kind of funny as both my friend and I didn’t want to visit the portable “Angel/Heaven Toilet” that they had at the venue. As such, we could not buy all the fanciful drinks to our whims and fancy as we did not want to visit the toilet. I think I only drank half of the milk tea in the cup. Tea Taste was pretty bland.. Inside Out themed cups with syringe; Mojito bucket on the right, together with the not very nice honey drink and a Tokyo burger I bought from a food truck. There was live music at the stage area and we sat down on the wooden pallets for quite a while; eating and resting while waiting fora friend. That night, not a lot of people were paying attention to the music which was kind of sad for the performers. Most people were just busy eating/drinking or with their heads down on their phones. Maybe this festival did not attract the music fanatics. I really love the Blue Led avatar concept. The colourful lights didn’t fare too badly either. Beautiful lights; the crowd is really no joke and there’s quite a number of shops to look see look see. The items that they sell are also more unique and artsy or hipster if this is the correct word. You won’t be able to find bargain deals (like in Chatuchak). Most shop owners are pretty young, likely to be budding entrepreneurs or online shops. Ending off with our favourite shop – the made to order t-shirt/caps/bag shop which effortlessly print out your customized shirt within an hour (subject to number of orders). I’m not sharing more about this shop because I don’t want to chance upon someone else wearing the same design as me in Singapore. Anyway, this was the second half of the reason why we had to visit artbox for the second night – to fulfill more customized orders. This place is definitely gonna be on my list in my next Bangkok trip and I’m looking forward to see how creative their organizers can be. With the amount of hype and response they have been receiving and the amount of cash earned plus increasing sponsors.. I’ll definitely have a higher expectation that next time I return! Click to read my visit to the new location at Chatuchak in Dec 2016. Hi. My name is Terry from Malaysia. Do you have any idea who’s the organizer? Are you base in Bangkok? Hear from you soon. Thanks.